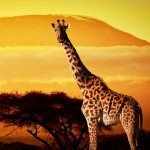 Giraffe’s have adapted to the challenging ecosystem of the African Savanna in a wide variety of ways, with each adaptation giving them a competitive advantage. Giraffes have keen eyesight, giving them great visibility and the tools to spot vegetation, other giraffes, and dangerous predators from across the savanna long before they can get close. And, giraffes only sleep around 20 minutes or less per day, according to PBS Nature. Staying awake most of the time allows them to be constantly on alert for predators. Yet another competitive advantage possessed by giraffes is predator hesitation to attack adult giraffes as they are quite powerful. Even if a predator is hungry enough to go after a giraffe, it still has to catch it. With speeds reaching 37 mph, they can give a lion, their primary predator, a run for their money. Extended periods of drought in the Giraffe’s habitat can make grazing food and water scarce. Giraffes have adapted with long necks allowing them to reach tree leaves which tend to remain even when the grasses have dried up from lack of water. They can survive for weeks without actually drinking, instead getting water from the vegetation that they eat, the dew that forms during the much cooler nights, and from coastal fog that often rolls in over parts of the desert at night. Giraffe’s have even adapted to accommodate their adaption. It turns out they have a relatively small but supercharged heart, quite different from those possessed by other similar mammals, at least in part to get blood up it’s super long neck. The government contracting ecosystem can be challenging; let CDRL Manager’s carefully adapted features give you a competitive advantage. It can be challenging to keep track of the various moving pieces for all of your contracts. 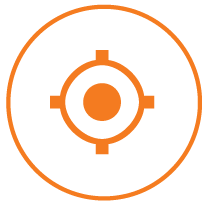 CDRL Manager provides you with excellent visibility with built in delivery and disposition tracking, as well as dashboards, reporting, and reminder features to manage all aspects of your data item deliverables. Your contracting organization will run at top speed leveraging the automated review and approval workflows along side unique features like automated date calculations. And, AST can even adapt this adapted solution to your specific needs, with custom configurations built to your specifications, giving you a competitive advantage in today’s complex and competitive government contracting market. With CDRL Manager as the supercharged heartbeat of your contracts you keep your finger on the pulse of all upcoming delivery dates, expedite past due CDRL submissions, track dispositions, and even manage and report on rejections and resubmissions. You’ll be head and shoulders above the rest. In today’s fast paced defense contracting environment it can be difficult to manage complex, and often changing, CDRL delivery requirements. Data Managers need an easy way to schedule submissions, facilitate deliverable reviews, track submissions and dispositions, manage the process from start to finish, and quickly and easily report status to their IPTs. That’s where AST’s CDRL Manager comes in. With built in features like due date calculation, delivery tracking, automated reminders, review and approval workflows, and metric reporting CDRL Manager helps ensure on-time submission of your CDRL deliverables to your government customers, every time. 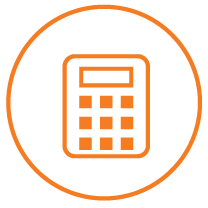 Automated due date calculations ensure your submittals and resubmittals are delivered on time, every time. Delivery and disposition tracking allows you to stay on top of every submittal for every program, easily. Flexible review and approval routings allow you to get the data out for review and back for submittal or resubmittal quickly. Change management configurations help you keep track of who changed what, and when. Whether you have a milestone based delivery like a PDR or Flight Test, or periodic CDRL deliverables such as monthly or quarterly cost and schedule DIDs, the system allows you to schedule and manage them efficiently. It’s designed with automatic due date calculations based on subject matter or deliverable type, and even allows for per-delivery due date offsets. It also takes into consideration weekend adjustments and anticipated government response dates. 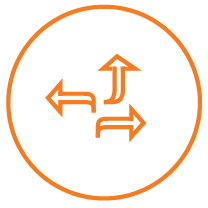 The system has the option for flexible approval routing which sends data item approval requests to the correct DM, PM, IPT, and department managers based on your business processes and elements such as Program, Customer, Data Type, and Designated Approval Roles. The system also has the option to share the draft submittals with your customer for reviews and edits prior to the formal submission. No more complicated and cumbersome spreadsheets. With built in dashboards and reporting, Data Managers, PMs, and IPTs can know at a glance what government contract deliverables are coming up, which ones have been submitted, those that have been rescheduled, and which ones are past due and require immediate expediting. The system tracks all the documentation and government responses including status tracking like sent, acknowledged receipt, approved with comments, and closed. Not every program goes exactly as originally planned. 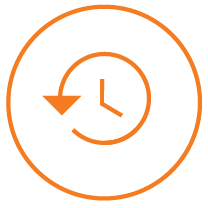 With automated due date calculations, submittals and re-submittal delivery dates are instantly modified to reflect milestone date changes, changes due to contract mods, rejection/resubmittal changes, as well as contract requirements for resubmittals. If a CDRL submittal has been rejected, the system is configured to require a reject reason. It also tracks submittal change history and automatically recalculates new submittal due dates. You’re even given a reporting option that covers the most common reasons for rejection, which facilitates process improvements. Now you can manage all your contract data for all programs in one system with need-to-know controlled access to individual programs and data types. From initial RFP through contract win, including contract modifications, and CDRL deliverables down to the individual DID items and contract milestones, all your data, documents, and history is in one place. User data is also easy to add or modify, with one change instantly propagated throughout the application. The system tracks changes to both documents and data. Whether someone adds, deletes, or modifies a document, updates a DID description, or changes a submission due date, the system logs who changed what and when. With CDRL Manager you get to decide what information is needed, when it should be entered, and whether or not it’s required based on your specific company, program, or contract needs.